Interating vanagin and Dutch couple Simon met during his recent Mexico trip. I don’t have many details, but I think it’s a Reimo top (and limited edition ) diesel, twin fuel tanks, syncro. I bet a few of you out there know this couple. Multiple dope slaps for shooting this video in portrait mode, but still very much worth a look. 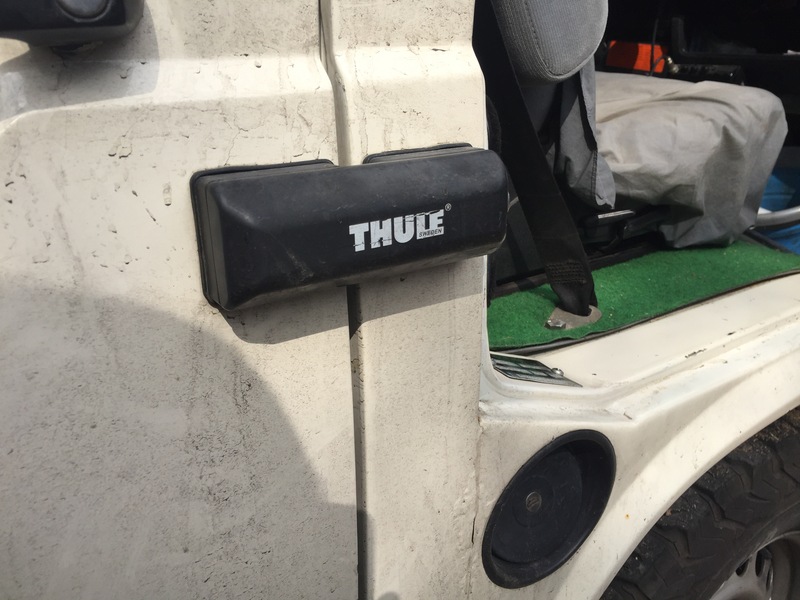 Oh and yes, that’s a Thule van door lock on the sliding door. 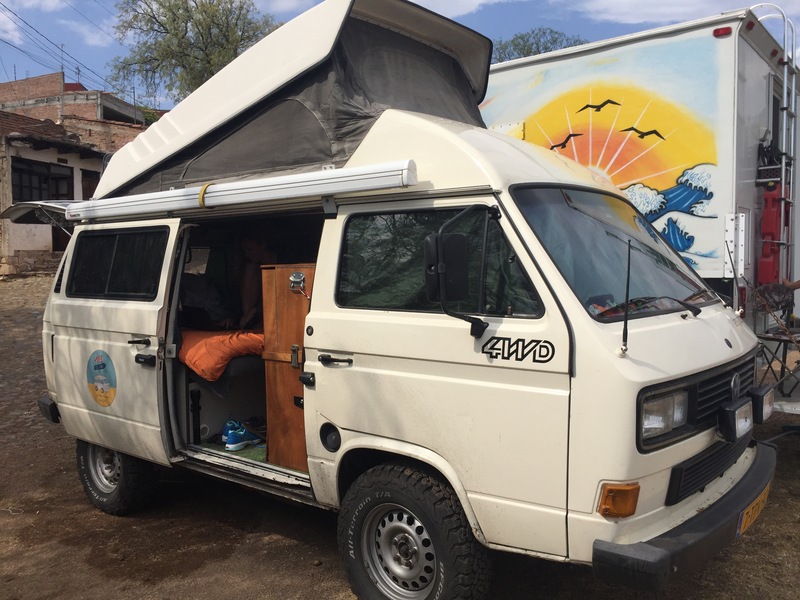 This entry was posted on June 2, 2017, 7:12 am and is filed under vanagon. You can follow any responses to this entry through RSS 2.0. You can leave a response, or trackback from your own site. Really nice people with a really nice rig, they were getting it painted in Guanajuato (they were actually the inspiration that got me thinking on a Mexican paint job) and were then headed for South America. PS – aren’t they ever coming back to Canada? Simon and Maria are back, as of tow day ago. We’re going over to see them tomorrow and I’ll have a look at hwo we are going to mount Simons new fiamma awning to the high top. And look over the decoupler he bought…. I think that’s a Weinsberg top. You sure? I thought Reimo, check out their blog for confirm. See what you think, pic of Reimo on this page of Samba thread. That definitely looks like it, and it’s inarguably labelled Reimo. I just saw this article on semi-high laptops, apparently known as “zwitterdach” in Germany, and was reminded of our discussion. Hope this is of interest.